﻿ Titanium Gr5 Ferrule Fittings, Titanium Gr5 Compression Tube Fittings Exporter. ASTM B338 Titanium Ferrule Fittings Manufacturer, Titanium Grade 5 Compresion Tubes Exporter, Titanium Gr5 Double Ferrule Fittings Supplier In Worldwide. We are a manufacturer, trader, stockist, supplier and exporter of Titanium Gr. 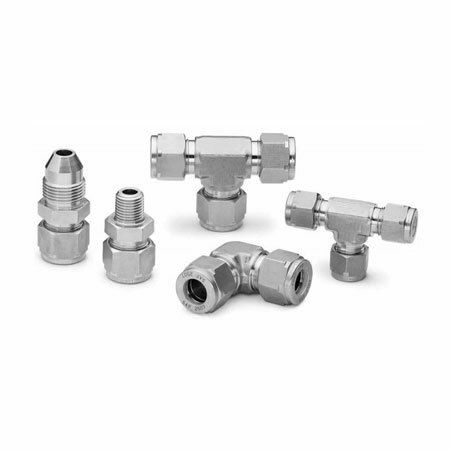 5 Compression Tube Fittings, constituting a nut, a ring and a seat, either made of metal or plastic, joining pipes or tubes to a valve or a pump, using compressive force. For tubes, there are ferrules that affix them to inlets. Our Titanium Gr. 5 Instrumentation Fittings which have higher strength, weldability, fabricability and ductility, all because of the reduction in the oxygen content, thus leading to their versatile use. W e supply UNS R56400 Titanium Gr. 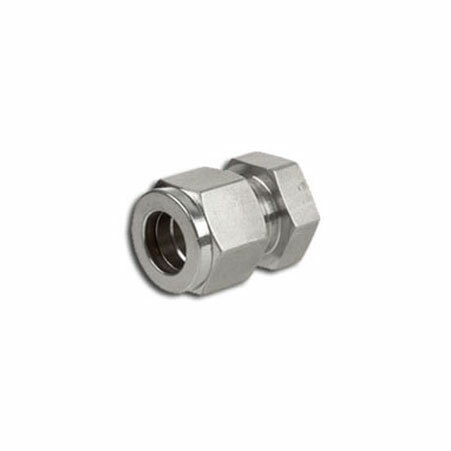 5 Ferrule Tube Fittings to the aerospace, marine and offshore industry. Our sustainable and economical products are capable of undergoing customization. We have built a reliable portfolio of durable products over the span of 25 years. 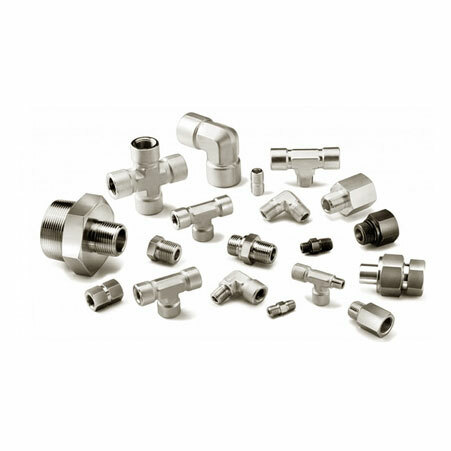 Titanium Grade5 Male Branch Tee Manufacturer, Titanium Gr5 Straight Union Supplier, Titanium Gr5 Ferrule Fittings Supplier In India. Morocco, Sweden, Venezuela, Poland, Mongolia, Iraq, Hungary, Japan, Algeria, Germany, Israel, Netherlands, Oman, Colombia, Macau, South Africa, Czech Republic, Ireland, Spain, Finland, United Kingdom, Bhutan, Bulgaria, Jordan, Taiwan, Peru, China, Sri Lanka, Iran, Nigeria, Thailand, Italy, Portugal, Bolivia, Vietnam, Mexico, United Arab Emirates, Canada, Switzerland, Angola, Gabon, Lebanon, Chile, Mexico, Russia, Lithuania, Ukraine, Ghana, Puerto Rico, Turkey, Slovakia, Hong Kong, Austria, Greece, Chile, Nepal, South Korea, Romania, Afghanistan, Philippines, Kuwait, Libya, France, Egypt, Malaysia, Costa Rica, Zimbabwe, Australia, Belarus, Bahrain, Poland, Nigeria, United States, Pakistan, Denmark, India, Brazil, Namibia, Croatia, Qatar, Azerbaijan, New Zealand, Bangladesh, Saudi Arabia, Estonia, Trinidad & Tobago,Tunisia, Argentina, Tibet, Singapore, Gambia, Yemen, Indonesia, Iran, Norway, Kenya, Belgium, Serbia, Ecuador, Kazakhstan. Indore, Kuala Lumpur, Coimbatore, Haryana, New York, Chandigarh, Lagos, Abu Dhabi, Ranchi, Seoul, Nashik, Houston, Perth, Bengaluru, Ulsan, Tehran, Madrid, Istanbul, New Delhi, Pune, Caracas, Sharjah, Surat, Visakhapatnam, Kuwait City, Kanpur, Rio de Janeiro, Thane, Vung Tau, Hong Kong, Jeddah, Ahvaz, Faridabad, London, Mexico City, Ahmedabad, Dubai, Melbourne, Edmonton, Riyadh, Courbevoie, Al Khobar, Moscow, Jamshedpur, Cairo, Dallas, Chiyoda, Karachi, Santiago, Los Angeles, Howrah, Gimhae-si, Colombo, Ludhiana, Gurgaon, Manama, Bangkok, Dammam, Busan, Bhopal, Petaling Jaya, Mumbai, Hyderabad, Vadodara, Secunderabad, Atyrau, Sydney, Ernakulam, La Victoria, Baroda, Granada, Kolkata, Al Jubail, Bogota, Montreal, Calgary, Rajkot, Doha, Toronto, Thiruvananthapuram, Jaipur, Singapore, Ho Chi Minh City, Brisbane, Hanoi, Muscat, Chennai, Geoje-si, Algiers, Port-of-Spain, Ankara, Nagpur, Pimpri-Chinchwad, Navi Mumbai, Milan, Aberdeen, Jakarta, Noida, Lahore.